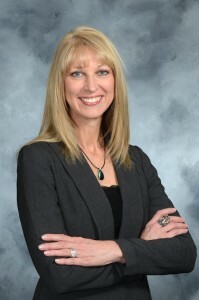 Lisa G. Shuneson is a Managing Partner for Whalen & Company, CPAs, and also serves as Partner of Assurance Services, overseeing the firm’s accounting and audit practices. Additionally, she leads the estate and trust planning area of the firm. Lisa has extensive experience working with both large and small businesses in providing practical advice on business operations. During her 20 plus years in public accounting, Lisa has worked with a variety of clients in industries such as restaurant, professional services, manufacturing, distribution, nonprofit and construction. Lisa’s wealth of experience, along with her depth of knowledge in taxation, provides business owners and executives with valuable business planning guidance. Lisa holds a Bachelor of Arts degree in business administration with a concentration in accounting from Cedarville University. She is a Certified Public Accountant and Personal Financial Specialist. She is a member of the Ohio Society of Certified Public Accountants, the American Institute of Certified Public Accountants, the Worthington Estate Planning Council, the Women Presidents’ Organization, the Women’s Economic Leadership Development national board and the Women’s International Business Forum. In addition, Lisa is a former Board Member and Chair of Public Policy Committee at the National Association of Women Business Owners, and also previously served as Treasurer and Executive Committee Member of Veteran Empowerment Through Motorsports.